Join Us!!! We are looking for someone to help us cover NBBL men basketball. Please send us an e-mail. Spurs celebrated NBBL Advanced title as they rout Switchn' Clips 102-70. Spurs exploded with a massive 60-24 surge in the first half and never looked behind. 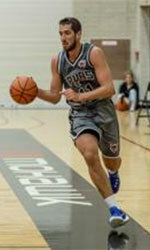 Daniel Dooley (6'1''-G) top-scored for thew winners with 30 points and Zachary Angus (6'1''-G) netted 20. Nathan McCarthy (6'8''-C/F) delivered 18, whilst Elliot Ormond (6'3''-G) had 17. Will B replied with 24 points in a loss. CJ Hill (6'4''-G, college: Louisburg JC) scored 17 and Nick Russell (6'4''-G-91, college: SMU) added 12. Spurs outgunned Wellness C. to advance into NBBL Advanced Final. Spurs dominated down low during the game scoring 50 of its points in the paint compared to Wellness C.'s 28. Power forward Nathan McCarthy (203) nailed 17 points and 6 rebounds for the winning side and guard Daniel Dooley (185) accounted for 17 points. Five Spurs players scored in double figures. Point guard Michael Hamilton (193) came up with 13 points and 5 assists and guard Justin Andrew (183) added 12 points and 5 rebounds respectively for Wellness C. in the defeat. Wellness C.'s coach gave up on the game allowing to play eleven players seeing no chance for a win. Switchn' Clips will play in the championship game after they held off Grizzlies. Switchn' Clips made 17-of-20 free shots (85.0 percent) during the game. Rudi W stepped up and scored 32 points for the winners and forward Nick Russell (198) chipped in 17 points and 9 rebounds. At the losing side forward Braeden Lenters (201) responded with 23 points and 6 rebounds and point guard Foster Brown (183, college: Redeemer) scored 13 points and 6 rebounds. Wellness defeated 519ers to advance into the semifinal stage. Point guard Michael Hamilton (193) stepped up with a double-double by scoring 27 points, 10 rebounds, 4 assists and 6 steals for the winners and guard Justin Andrew (183) chipped in 20 points and 5 assists. 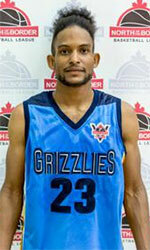 At the losing side point guard Nathan Samuel (183) responded with 18 points and guard Donald Cross scored 12 points. Four 519ers players scored in double figures. Switchn' Clips advanced into the semifinal stage following a comfortable victory over Space Jam. Rudi W stepped up and scored 25 points, 8 rebounds and 5 assists (made all of his seven free throws) for the winners and American guard CJ Hill (193, college: Louisburg JC) chipped in 22 points and 6 rebounds. At the losing side power forward Spencer Kerssies (208) responded with a double-double by scoring 21 points and 10 rebounds and American swingman Matt Brown (197, college: Tenn Wesleyan) scored 21 points and 7 rebounds. Both teams had four players each who scored in double figures.